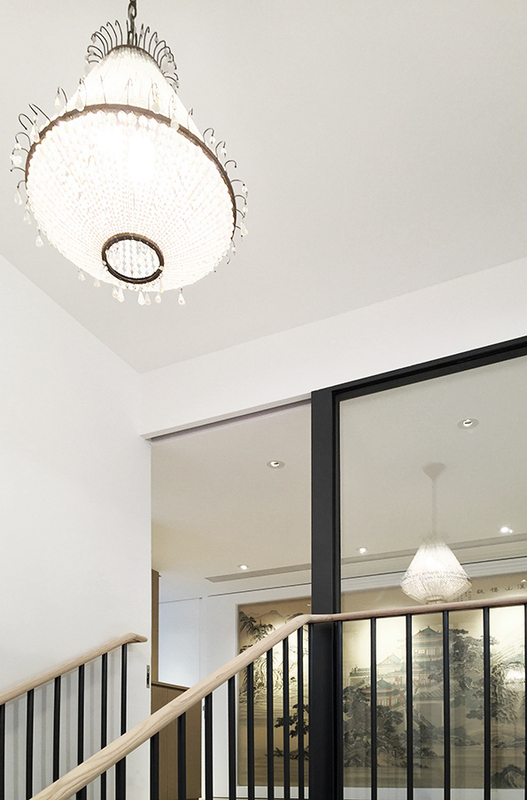 The Duplex is the home where the Elder Tang raise their children together, during the times when Elder Tang explored and pioneered Hong Kong’s business joint-venture with mainland China. It is filled with memories, and with the artifacts collected during their expeditions. 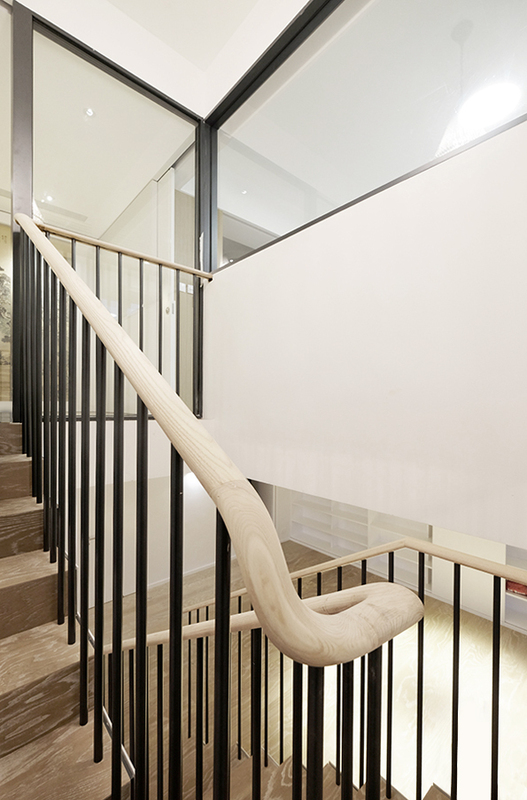 The design aims to deliver a simple, practical and warm home, contemporary with hints of nostalgia. 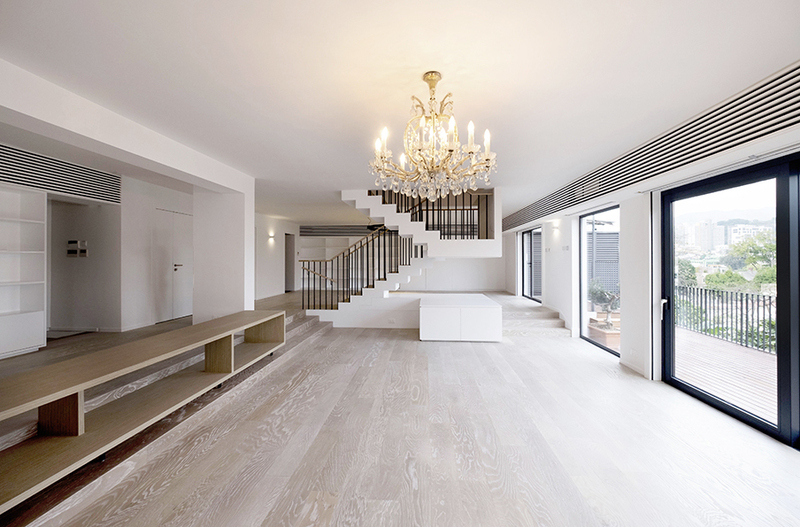 Two sets of retained chandeliers act as the focal points of the living room and the stairwell. 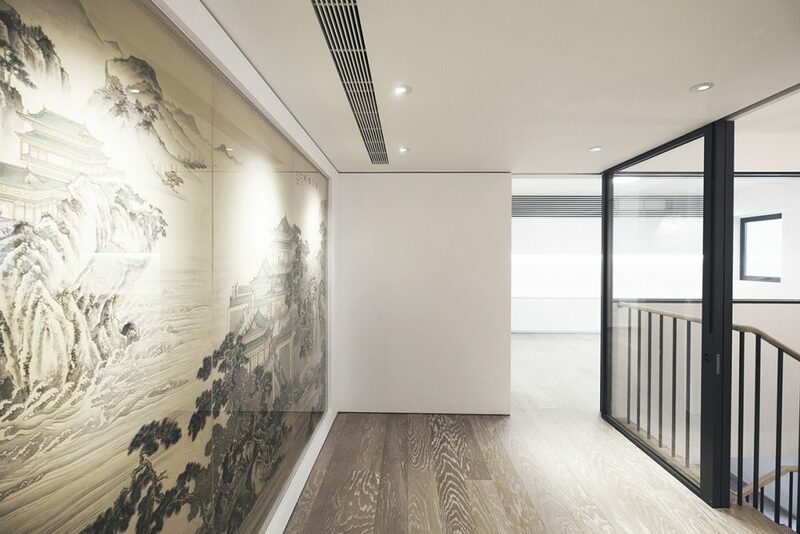 The upper level landing is fronted with a full-length Chinese ink painting – a retained present to Mrs. Tang. 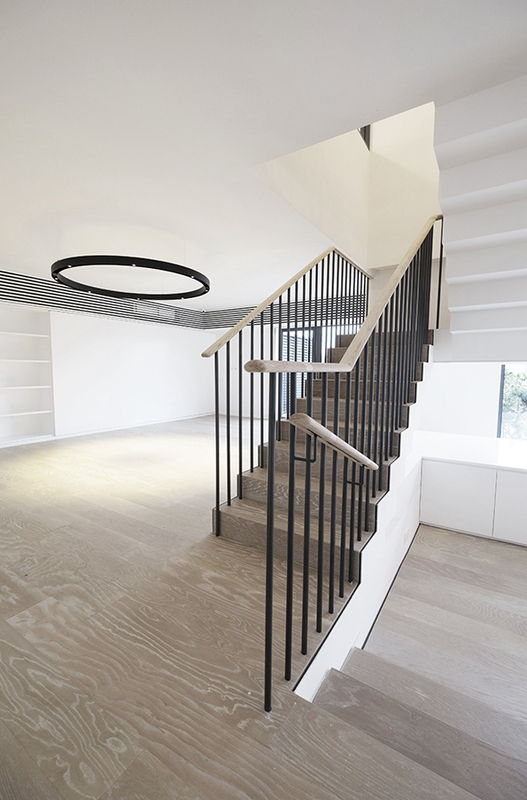 The overall warm hue of the timber flooring and railing, the simple white walls, the sharp clean lines of the new light fittings complements the retained artefacts to give a harmonized and ordered appearance. 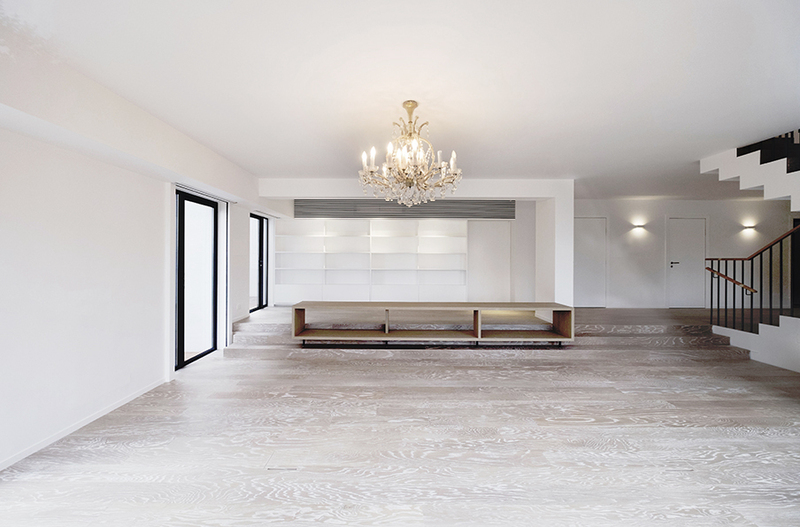 Obstructions between the living room and the dining room are cleared for a spacious setting for big family gatherings. 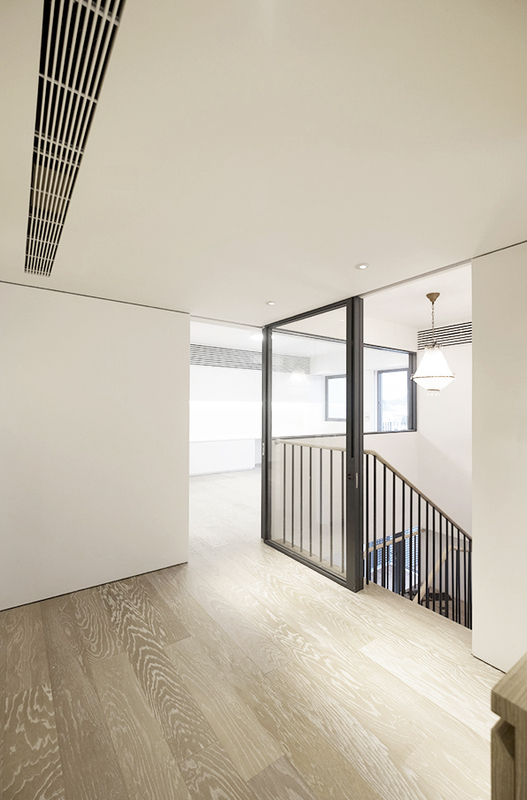 The secondary living room on the upper level is given a glass window to visually connect with the main living room on the lower level. Collaborators: Authorized Person, Structural Engineer: David S.K. Au & Associates Ltd.
Main Contractor: P&T Construction and Engineering Co. Ltd.